In order to put the woe of watching unsupported videos on iPad to an end, a professional iPad video converter proves to be of help since such software manages to convert unrecognized video into iPad playable format easily. If you are longing for the best video transcoder for iPad, you'll never be in a fix, because this review gathered top 3 best-in-class iPad video processing software for Mac that fits the bill. MacX Video Converter Pro has been listed in our lineup of the best video to iPad converter because of its impressive feature set, an extensive number of supported video formats, high quality and lightning speed. It goes above and beyond other iPad video converter software, attributing to the intuitive interface that happened to change one month ago to let Mac users convert any video (4K UHD) to iPad Pro/Air Plus/mini 4 Retina/Air 2 as easy as learning A-B-C.
Best video to iPad converter to convert MKV, MP4, MTS, AVI and more to iPad (iPad Pro/mini 4/Air 2 etc) supported formats with 5X faster speed and no quality loss. Apart from converting a video in a format that runs on any iPad (iPad Air included), this iPad video converter is the best assistant for Mac users to convert among HD and SD videos, like MKV to MP4, FLV to AVI, WMV to MOV, etc. Its 420+ conversion profiles make the actual conversion process a snap, getting any video compatible with other portable gadgets like Apple iPhone iPad iPod, Android phones and tablets, and PSP to name a few. Its Apple-style interface, High Quality Engine and Multi-Threading Technology help to ensure a hassle-free operation, high output quality and 5X faster video conversion speed (Intel/Nvidia/AMD GPU HW acceleration supported). Additionally, you have the option to do away with unwanted part as it lets you trim the video, merge multiple clippings, convert only what you really need, add watermark and subtitle according to your preference. 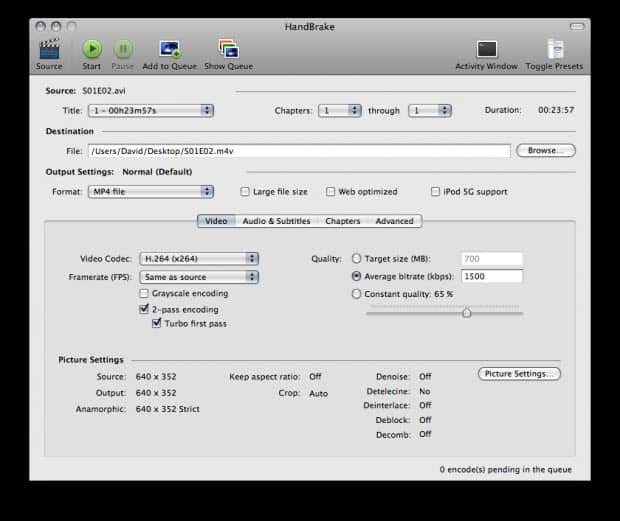 If you are loath to pay for a program meant to convert video for your iPad, you can convert video with Handbrake. Being famous as a piece of cross-platform open-source DVD video processing software, Handbrake is definitely the best video converter for iPad, iPhone iPod users. Its output presets are mostly Apple related gadgets like iPhone, iPad and iPod. But Handbrake only claims to convert video to MP4 and MKV formats, making it fall behind MacX Video Converter Pro. That is why Handbrake is our silver award winner in the best iPad video encoder review. 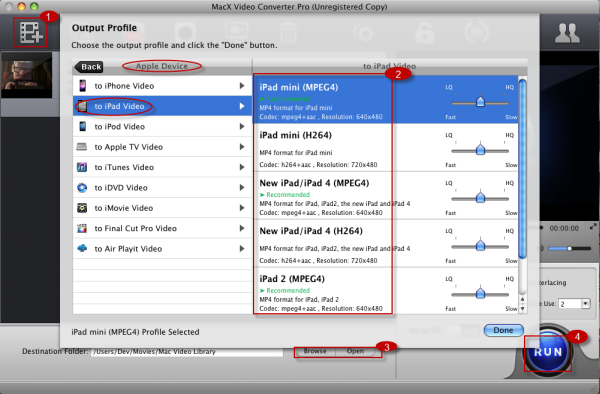 Like MacX, Aimersoft Video Converter has nearly all the features you could want in video to iPad conversion. As another top video to iPad converter program, it excels in converting any video into formats that can run on this Apple iPad tablet. It also comes in handy for extracting audio in format like MP3, AAC, etc to make them compatible with the iPad. The only major drawback in this top-rated video converter for iPad is its promiscuous interface. It takes us several minutes to figure out how to navigate between the editing tools screen and the main conversion screen. So if you're looking for a clean iPad video transcoder that's a little more intuitive to navigate, you'll need to head over to the former two apps. Hopefully, you can have your work done easily if you download one of the tools listed on our catalog of the best video converter for iPad. But if you want to dig more with these tools, my highest score has to go to MacX as it helps to not only convert video to run on iPad but also download video from YouTube, make photo slideshow, capture screen video and edit video to serve your different purposes. Below is step-by-step guide on how to convert MKV M2TS AVCHD FLV AVI to iPad on Mac OS X using the above mentioned MacX Video Converter Pro. Step 1: Free download the best iPad video processing tool on Mac computer, drag and drop the file you want to convert. Or go to "Add File" button to locate the video you want to add. Step 2: Go Apple Device -> to iPad Video and Choose the specific iPad as output format. It supports all types of iPad, including iPad Air, iPad Mini with Retina, iPad 4/3/2, etc. Step 4: Click "RUN" button to start converting video to iPad on Mac. 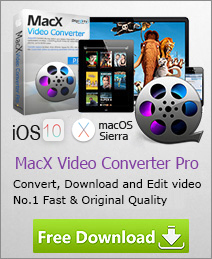 MacX Video Converter Pro provides the fastest MP4 to iPad Air conversion process for you Mac. Read the guide to convert MP4 video to iPad Air readable format with high quality. What video formats can be playable on iPad Air and iPad Mini with retina display? You may get know all the supported video formats for iPad Air and iPad Mini (with retina display) here and use free iPad DVD ripper or video converter on Mac to transfer the DVDs or videos to any iPad (iPad Pro/iPad Mini 4 included).